As the rules regarding legal marketing have evolved over the years, lawyers have had to brush up on the ethics of marketing their law practices. One of the areas in which we field many questions is on the ethical implications of marketing a law practice with offices in several jurisdictions. 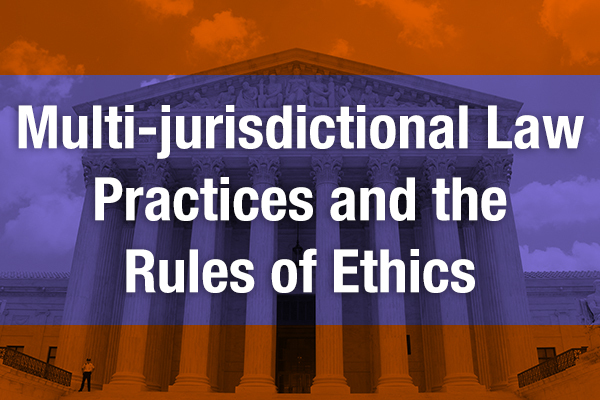 There is a great deal of guidance written about multi-jurisdictional law practices and ethical issues. 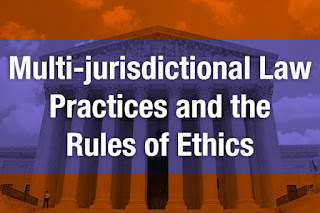 General guidance suggests that attorneys must first be in compliance with their home state’s rules and in the states where the law firm maintains offices. U.S.-based law firms should, at the very least, be in compliance with the ABA Model Rules. I often advise lawyers that if they prefer to market conservatively, defer to the ethics opinions and rules of New York, New Jersey, Florida and Indiana. For example, review Marketing Your Practice - Attorney Advertising, Business Development and Ethics in New York state. Lawyer Marketing: An Ethics Guide (Hypotheticals and Analyses) by Thomas E. Spahn, McGuire Woods LLP. You may also wish to read about virtual law offices and the ethics that apply. A relevant and detailed article can be found in Law Practice Magazine: Watch Where You Set Your Virtual Foot – Advice on Dealing with Varying State Rules by Daniel J. Siegel. For more information on the ethics of legal marketing, contact the marketing and PR professionals at Furia Rubel Communications.